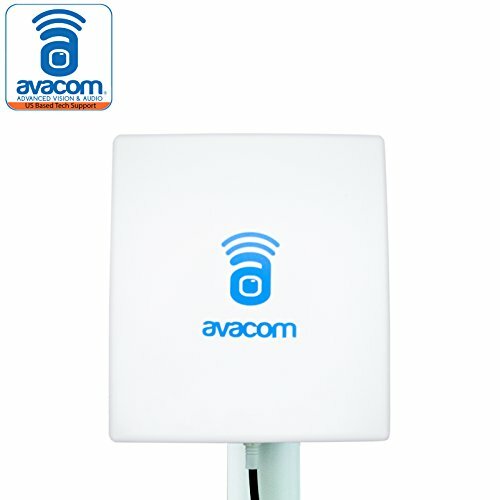 WiFi Panel Antenna is the most popular type of directional antenna in use today. Our indoor flat panel is commercial made tough at 14.3dbi. This antenna is directional and must be pointed in the direction in which the signal is coming from. The Panel antenna is used to direct the WiFi beam. It will increase the signal/reception in the direction it's pointing. Wireless Panel is ideally suited for directional and multipoint 2.4 MHz band applications. IP66 Weatherproof Antenna goes with 10ft (3m) Cable and Adjustable Bracket. 2400-2500 MHz Frequency and 14 dBi Gain Antenna Panel increases the signal/reception in the direction it is pointing. Directional Panel Antenna comes with a RP-SMA (Male) Cable Connector. RP-SMA (Female) - SMA (Male) Adapter Included. Please ensure compatibility of your device. If you not sure about your device compatibility feel free to ask us. Our friendly and effective customer support will put your worries aside.